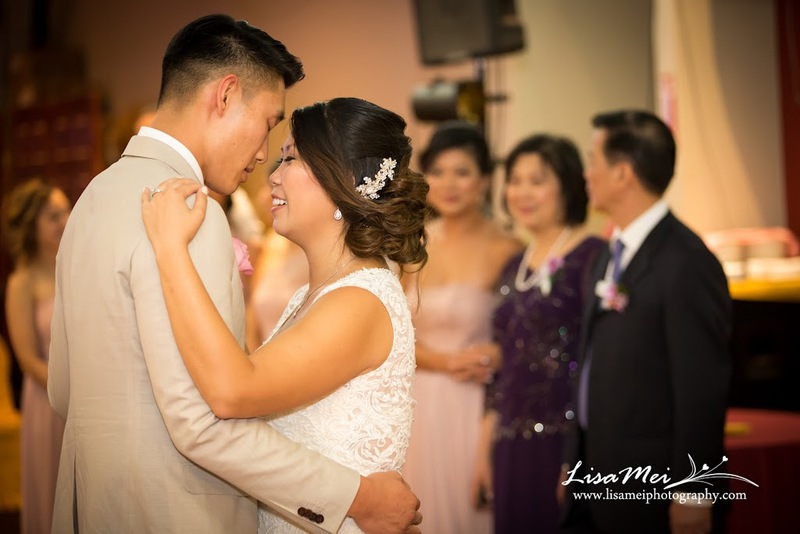 Anne and Raymond’s wedding day – actually they married in Hawaii and they were having their 2nd reception back home for families and friends who couldn’t make it. 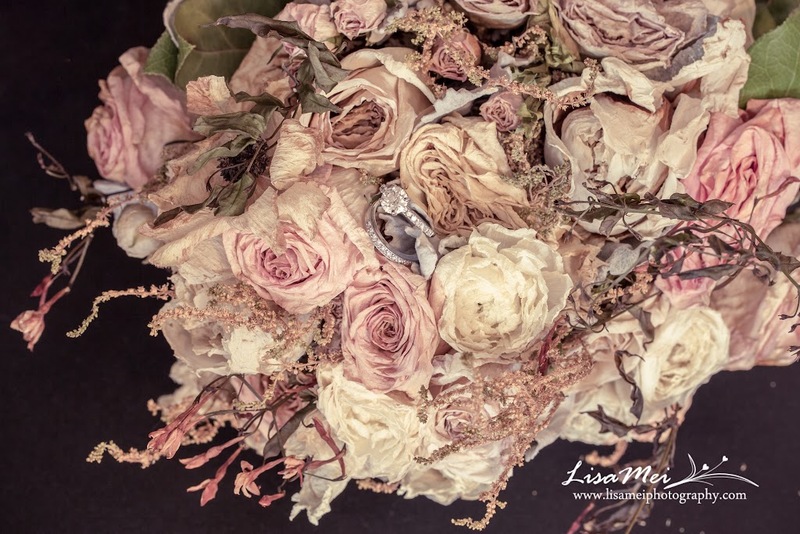 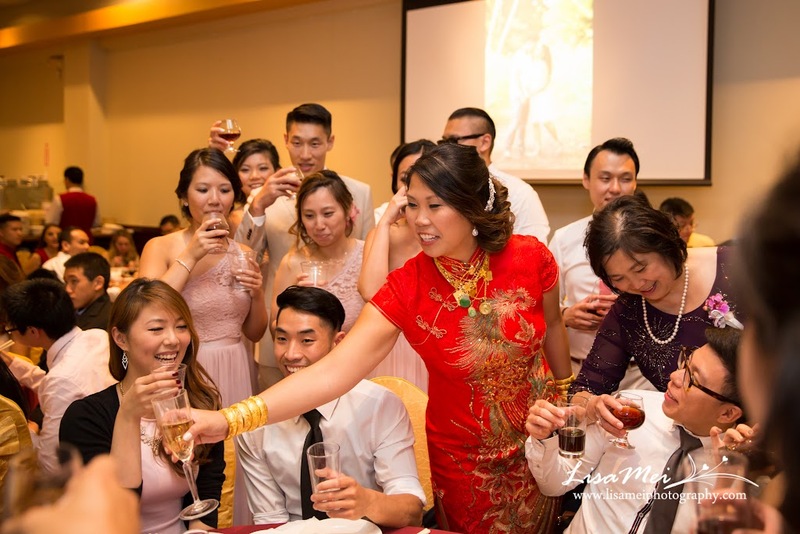 There was “no rush” unlike the weddings I have done in the past; no fixed schedule so whenever they get to it. 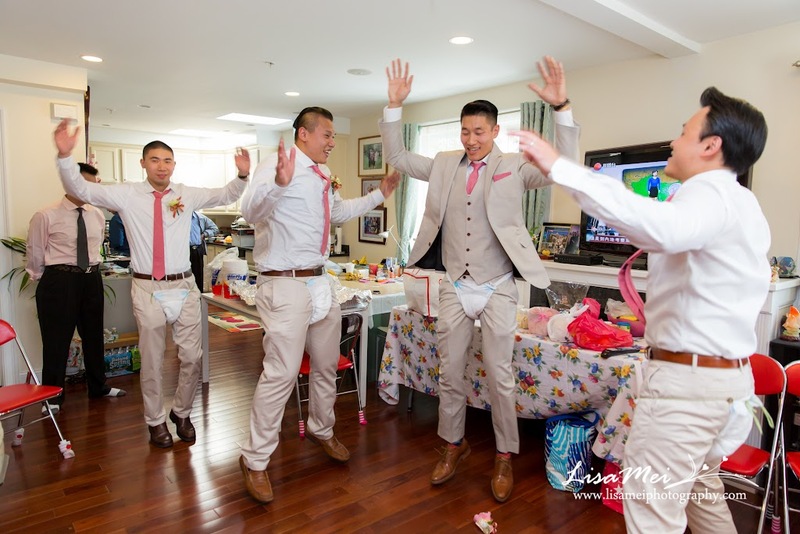 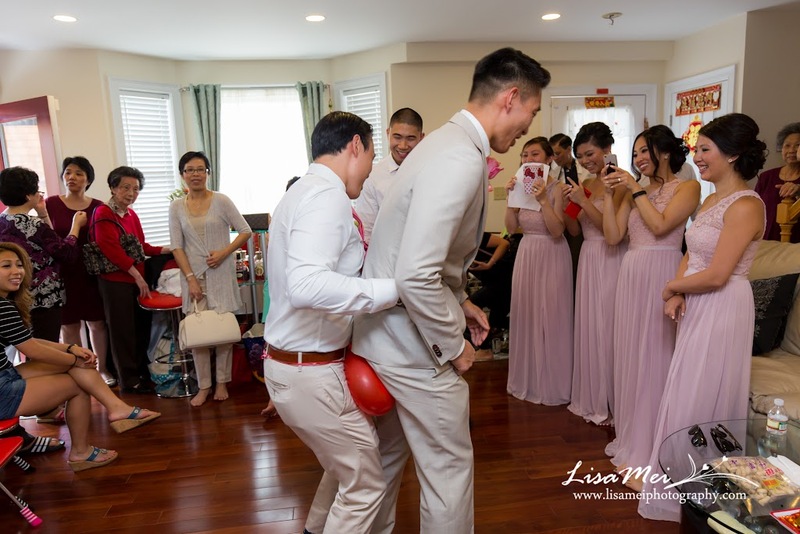 The big day started with the groom coming to pick up the bride after completing the challenges that the bridesmaids created – eating things that are sour, spicy, and sweet, popping balloons without their hands, and jumping jacks wearing diapers! 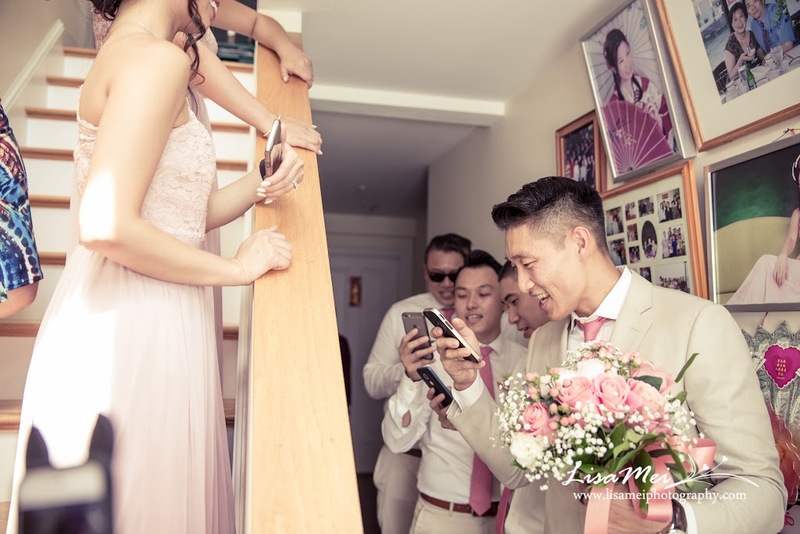 While they were going through all those games, Anne was watching all those moments live through FaceTime. 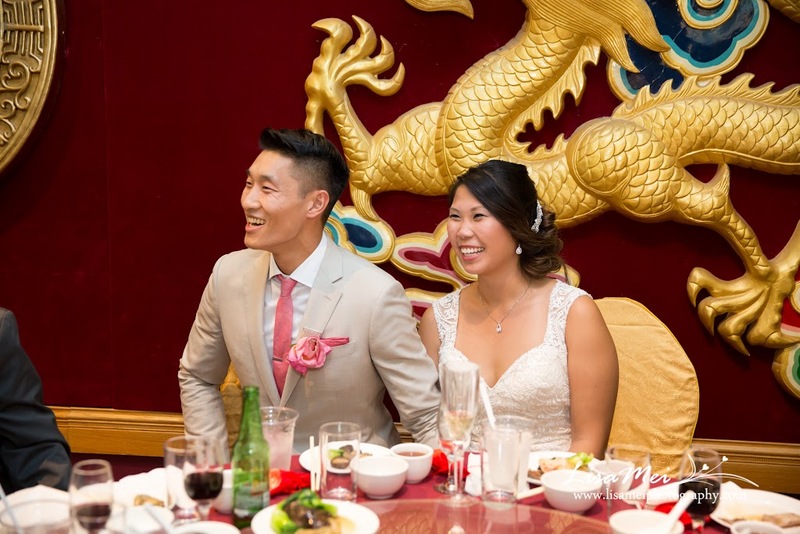 They successfully passed all the games and Ray picked up Anne to start the Chinese traditional tea ceremony. 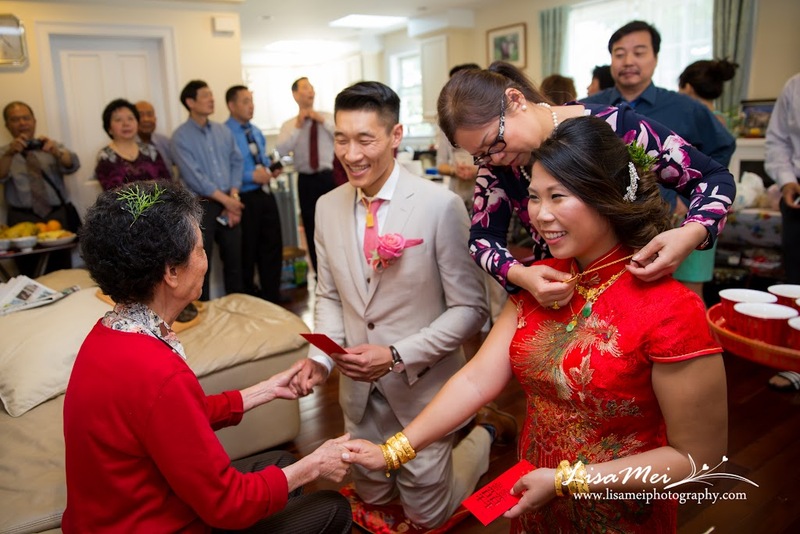 Family members gave their blessings to the newly weds as well as gifts – gold jewelries; both of Anne’s hands were out of room and must be heavy wearing all those gold! 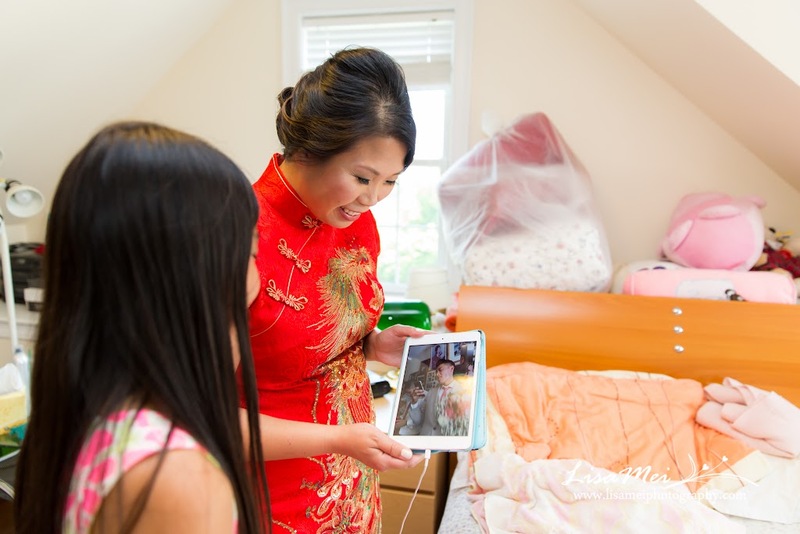 We then went to the Ray’s parents’ house to continue with the tea ceremony. 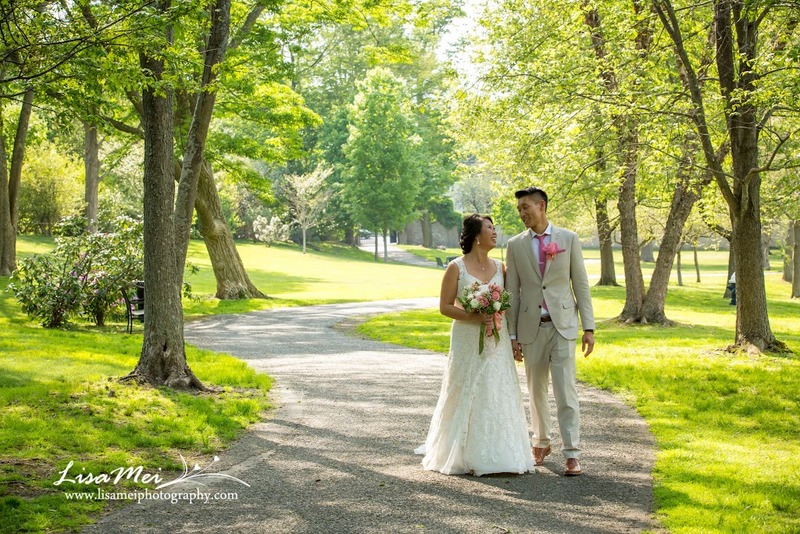 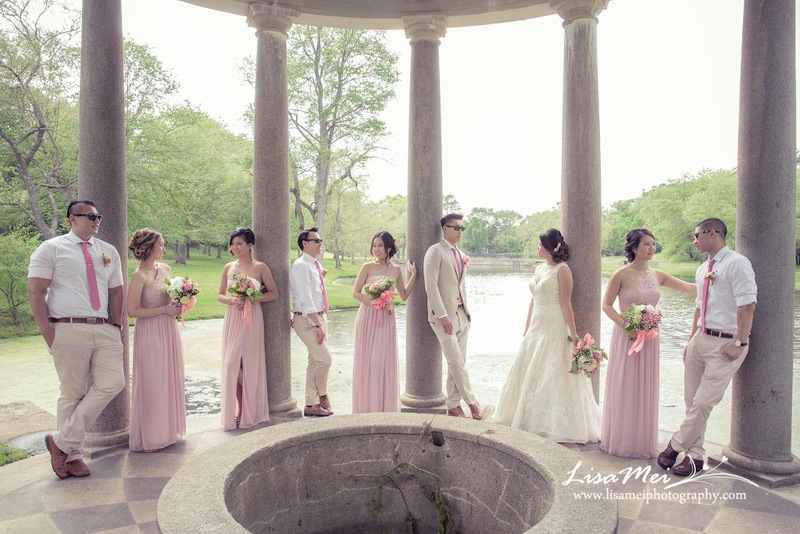 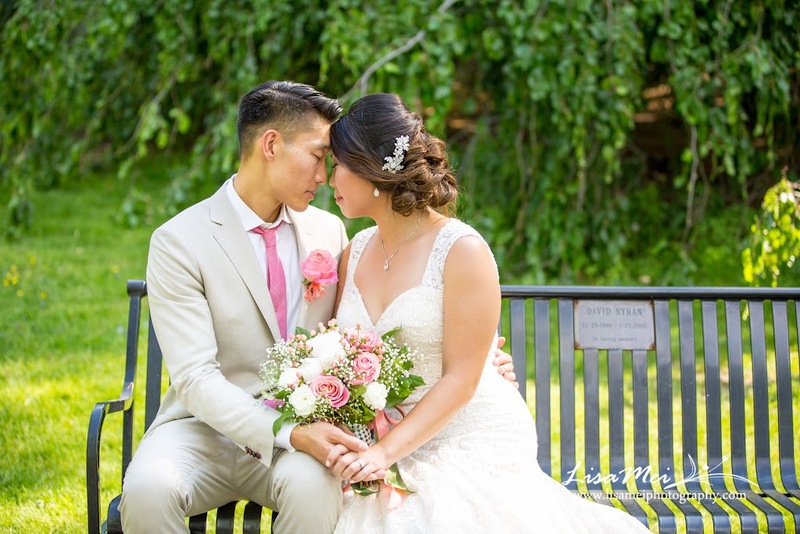 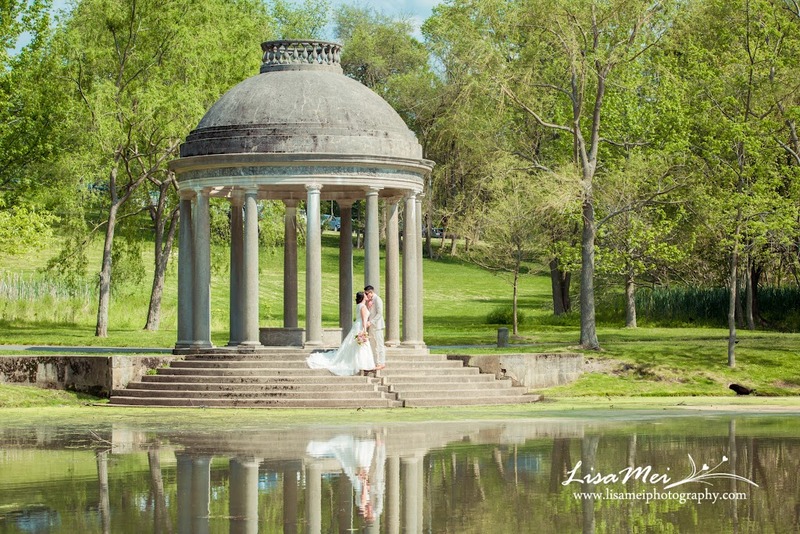 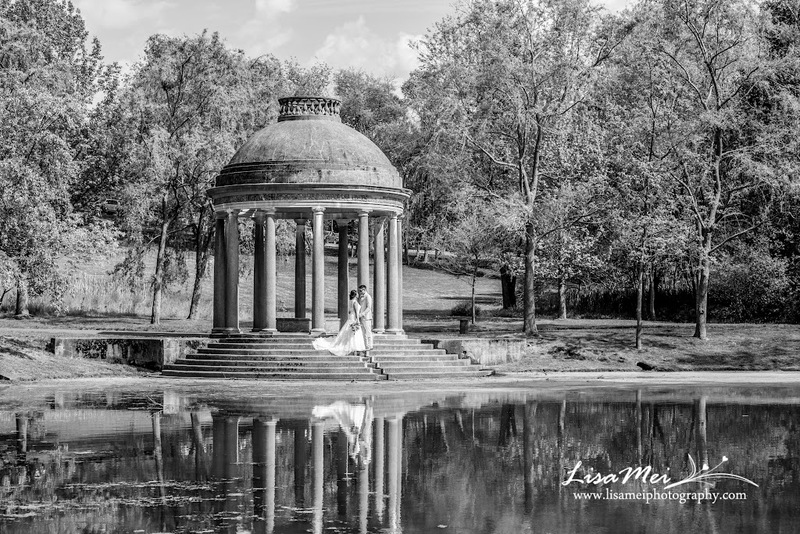 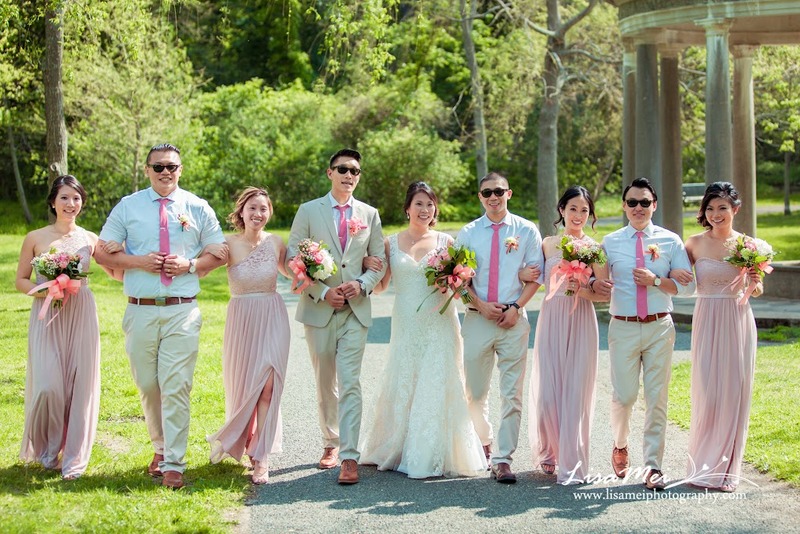 We didn’t have much time left before the reception at the China Pearl in Quincy so we quickly took the bridal party to Larz Anderson Park in Brookline for group photos. 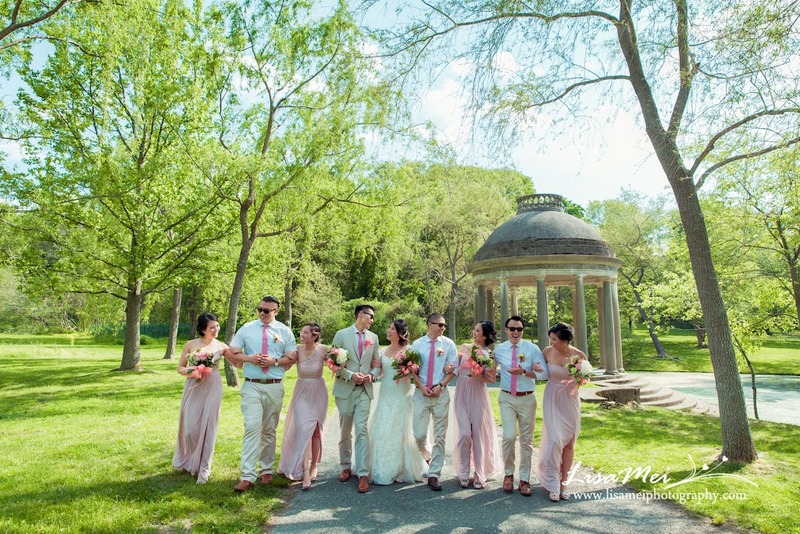 It was my first time having photos taken there and was surprised on how quiet it was there – perfect for group photos! 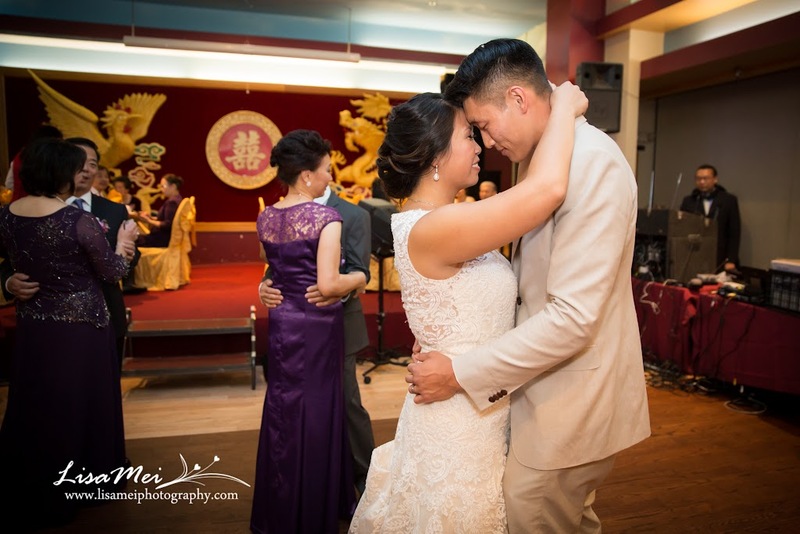 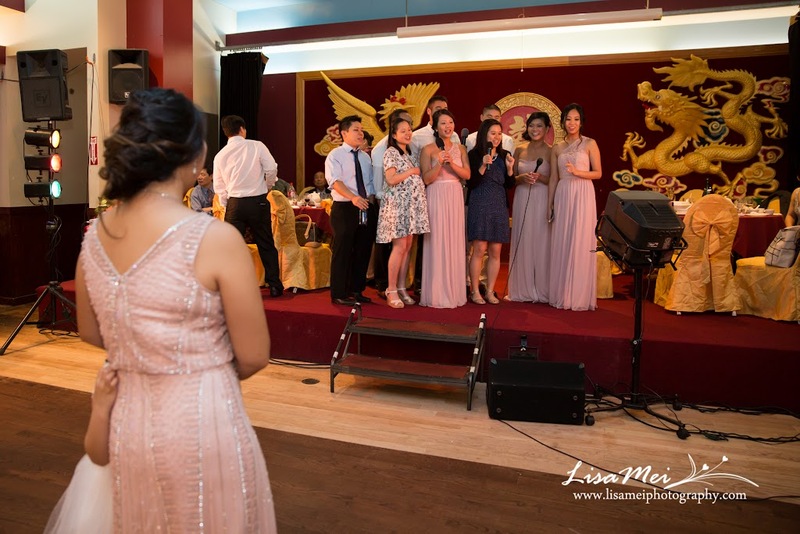 The reception was geared toward families where it was like a big reunion party with karaoke!